Fire and Blood are the words of House Targaryen, because everyone knows exactly how their house rose to power, and they really don't need to point it out again. Cause Dragons yo! They all know thoroughly well that Aegon the Conqueror rode Balerion the Black Dread during the War of Conquest, and no one could stand in his way. He left a trail of fire and blood in his wake, and while Targaryens might be pretty few and far between nowadays, we have reason to suspect that there might be a certain silver haired lady who's ready to retake the Iron Throne... and that she has just a few dragons of her own to back her up. SO. 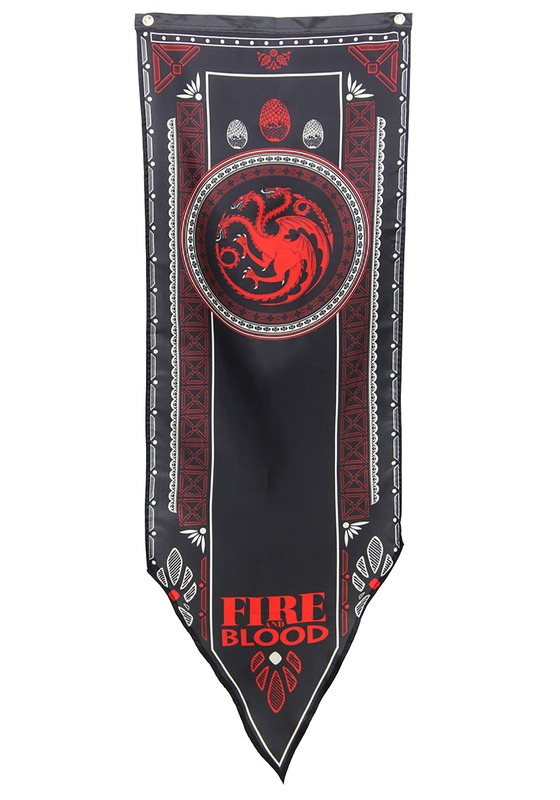 If you're thinking you might want to hedge your bets, you could get this authentic Game of Thrones Targaryen banner from us, and fly it high for all to see. That way, when the storm arrives at your shore, you'll be ready to serve a new mother of dragons. At the very least, you should make sure you have this HBO officially licensed banner hanging up at your costume party. 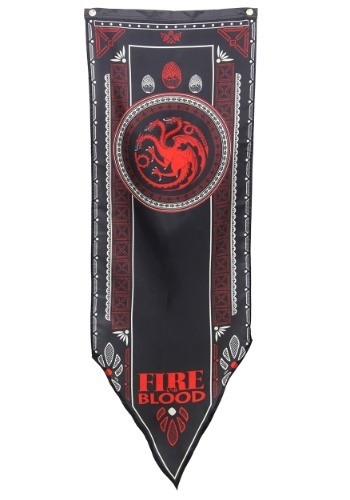 Cause if you're having a Game of Thrones party, it wouldn't be quite right without a little Fire and Blood!